Jalyn's Blog | Every morning you have two choices: Continue to sleep with your dreams —or— Get up & chase them. Can Alien Life Exist on Venus? Some Researchers Certainly Think So! In the article Can Alien Life Exist on Venus? Some Researchers Certainly Think So!, by Hannah Shariff, she explains how scientists may have discovered alien like life on the planet closest to us- Venus. 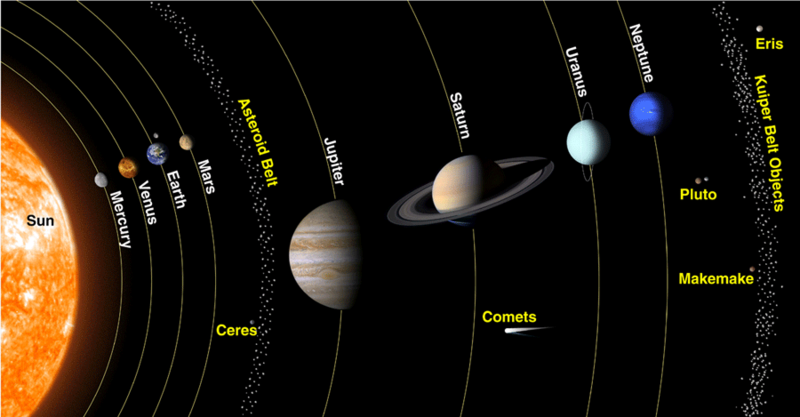 For years, the journey to find life outside of Earth has spanned a “multitude” of galaxies. However, while breakthroughs like the discovery of liquid water on Mars and “Earth- like” exoplanets have raised hopes of alien life, the distance between them and Earth were too far, and made it hard to prove. Venus was named for the ancient Roman goddess of love and beauty. Venus is the second planet from the sun and is similar in structure and size to Earth, complete with mountains, valleys, and tens of thousands of volcanoes. However, one difference between Earth and Venus is Venus’ thick atmosphere traps the sun’s heat, which makes Venus surface temperature an average 864 degrees Fahrenheit. That is hot enough to melt lead. While these temperatures make Venus uninhabitable, American and Soviet probes were sent to observe Venus between 1962 and 1978. The probes discovered that the temperature and pressure conditions in some parts of Venus’ dense atmosphere may be “favorable” to some life forms. In 1967, American bioscientist Harold Morowitz and astronomer Carl Sagan noted that the “abundance of carbon dioxide and sunlight — the key ingredients for photosynthesis — in the clouds made it plausible that alien life could exist”. A team recently led by University of Wisconsin- Madison scientist Sanjay Limaye, expanded upon this idea. They did this by taking a closer look at the mysterious, shape changing dark patches in Venus’ atmosphere. These mysterious, shape changing dark patches have confused scientists for many, many years. The team of researchers, who published their discoveries in the journal Astrobiology on March 30, say the particles making up the dark patches have the same “dimensions” as single celled, light emitting bacteria on Earth. While NASA has their hands full with the 2030 mission to Mars, Russia’s Venera- D space mission, scheduled for the late 2020s, may allow researchers to get up close and see our closest planetary neighbor, personally. 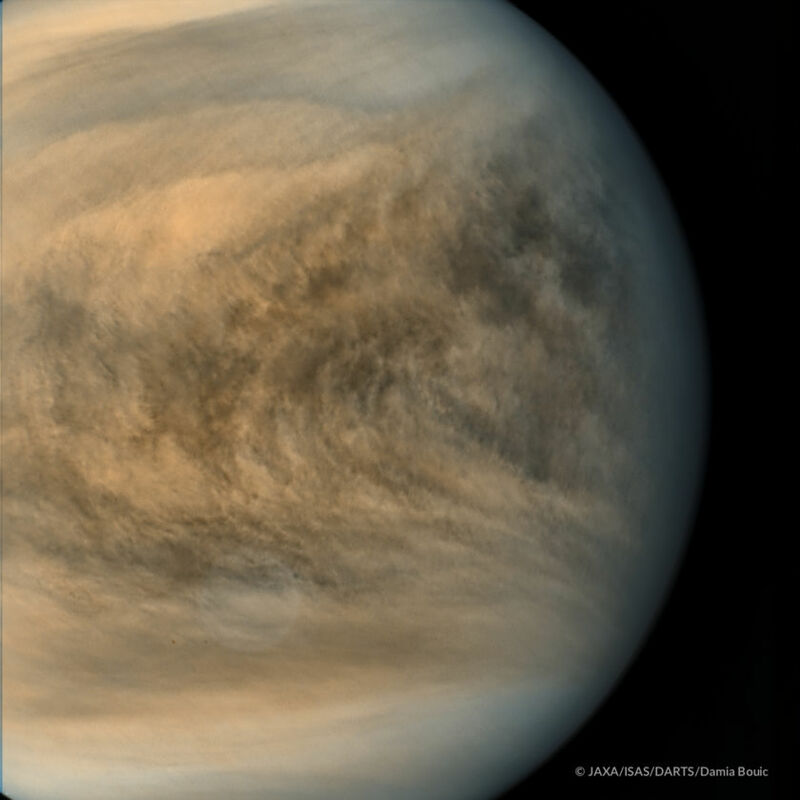 “Hopefully, Venus could be an exciting new chapter in astrobiology exploration,” Limaye said. However, before you get up and about telling everyone that alien life exists on Venus, you should first know that scientists do not expect to find aliens like the ones described in science fiction movies. Instead, they believe the alien life forms will be something more similar to the algal blooms found in our lakes and oceans. The newborn, Prince Louis Arthur Charles is fifth in line to the throne after his grandfather, his father, his brother, and his sister. His birth is a “milestone” for the British family. For the first time in history, a royal son will not replace his older sister in line for the British throne. This is because in 2013 the British law changed to allow birth order instead of gender to “determine” who will take the throne next. Visit my flipgrid to see my personal response! Amelia Earhart was a heroine. She was the first woman to fly across the Atlantic Ocean alone. She might have been the first PERSON to fly around the whole entire world, if only her plane hadn’t vanished over the Pacific Ocean in 1937. After decades of mystery about Amelia Earhart’s disappearance, her story might come to a close, at the Pacific islands of Nikumaroro. A recent scientific study claims that that bones found in 1940 on the Pacific island of Nikumaroro belong to Amelia Earhart. The new discovery disputes a forensic study of the remains conducted in 1941 that claims that the bones belong to a man. The bones which were later thrown away, have been revisited in the new study: “ Amelia Earhart and the Nikumaroro Bones.” University of Tennessee professor Richard Jantz led the study. The bones were first uncovered by a British expedition exploring the island for settlement when they came upon a human skull. The expedition’s officer ordered a more thorough search of the island. The British team had found several other bones and part of what appeared to be a woman’s shoe. Another interesting object they found was a box meant to hold a Brandis Navy Surveying Sextant, a tool for navigation. It had been manufactured around 1918. “There was suspicion at the time that the bones could be the remains of Amelia Earhart,” Jantz wrote in the study. The 13 bones found were shipped to Fiji and studied by Dr. D.W Hoodless of the Central Medical School. Jantz argues that the forensic study of these bones was still in its early stages, which affected the assessment of the gender of the remains. Jantz, in attempting to compare the lost bones with Earhart’s bones, has co-developed a computer program. It estimates gender and ancestry using skeletal measurements. The program is used by scientists all over the globe. Jantz compared the lengths of the bones to Earhart’s measurements. He used her height, weight, body build, and limb lengths, based on photographs and information found on her pilot’s and driver’s licenses. His findings revealed that Earhart’s bones were “more similar to the Nikumaroro bones” than 99 percent of people in a large sample.”In the case of the Nikumaroro bones, the only documented person to whom they may belong is Amelia Earhart,” Jantz wrote in the study. Earhart’s disappearance has interested the public for a while, and theories involving her landing on Nikumaroro have turned up in the recent years. Retired journalist Mike Campbell, who wrote “Amelia Earhart: The Truth at Last,” has argued with others that Earhart and her navigator, Fred Noonan, were captured in the Marshall Islands by the Japanese, who thought they were American spies. He believes they were tortured and died there. Ric Gillespie, director of The International Group for Historic Aircraft Recovery, (TIGHAR), spoke to the Washington Post in 2016. He believes the bones found on Nikumaroro belong to Earhart. In 1998, TIGHAR took Dr.Hoodless’ measurements of the Nikumaroro bones and analyzed them through a database. They determined the bones belonged to a taller than average woman of European origin. It could be Earhart, who at 5 ft 7 in to 5 ft 8 in, was several inches taller than the average woman. In 2016, the group brought the measurements to Jeff Glickman, a scientific examiner. He located a photo of Earhart that showed her with her arms exposed. It appeared, based on educated guesses, that Earhart’s upper arm bone matched with one of the Nikumaroro bones. Glickman, who is now a member of TIGHAR, told the Washington Post that at the time he understands some might question his findings, as they were based on 76-year-old medical notes. However, he said, the research made clear,that Earhart had died on Nikumaroro. Gillespie and Glickman could not be immediately reached by The Post for comment on Jantz’s findings. In 2017, the History Channel presents a photo suggesting Earhart died in Japan. Based on a photograph from the National Archives, researchers said Earhart might have been captured by the Japanese. The photo seemed to show Earhart and Noonan in Jaluit Harbor in the Marshall Islands after their disappearance. In the photo, according to the Washington Post’s reporter Amy B Wang, “a figure with Earhart’s haircut and approximate body type sits on the dock, facing away.” Noonan was also believed to be in the photo. “On the far right of the photo is a barge with an airplane on it, supposedly Earhart’s.” Later, after the History Channel program aired, a Japanese military history blogger matched the photo to one first published in 1935. It was two years before Earhart and Noonan disappeared. “HISTORY has a team of investigators exploring the latest developments about Amelia Earhart,” the History Channel said. Gillespie said in 2017 that he stood by his theory despite the photograph. He still thinks the evidence points to Nikumaroro. For decades Earhart’s fate has remained a mystery. Some people have believed that Earhart died a castaway on the island after her plane crashed. But now with the new study: “ Amelia Earhart and the Nikumaroro Bones” growing more and more intense, these bones might change how the next generation thinks about the history of Amelia Earhart. Personal Response: I chose this article because I love to learn about history and science, and this article was sort of a mix of both. I was especially interested on this history and science article because I‘ve heard many people talk about the fate of Amelia Earhart, and to think that we humans have developed new and advanced technology to solve these types of mysteries is, “one small step for a man, one giant leap for mankind.” as Neil Armstrong quoted. Tweet: Aviator Amelia Earhart’s bones found on a Pacific Island, with the help of the new study “ Amelia Earhart and the Nikumaroro Bones”! Check out my flipgrid, and comment in a video! Also visit 4A’s twitter account for the latest updates in our class! This is my Colonial Christmas Green Screen video! We made it on WeVideo. I hope you like it. In the book “Queen Red Riding Hood’s Guide To Royalty” by Chris Colfer, Queen Red gives her fellow hoodians, admirers, royal subjects, and royal rejects tips for being a fab royal queen. “Queen Red Riding Hood’s Guide To Royalty” was inspired by the marvelous guide to monarchy, “The Prince”, by Niccolo Machiavelli. While reading “The Prince”, Queen Red realizes three things. 1. She’s been doing everything correct since her coronation. 2. She feels “The Prince”, is a bit outdated. Although it was probably useful at one point, the info is probably not helpful to politics today. 3. Since she is the beacon of leadership, she felt that it is her duty to give the seminal classic a makeover! Throughout “Queen Red Riding Hood’s Guide to Royalty”, Queen Red describes, the life before she became the wonderful queen her citizens see today, The Royal A.P.P ( appearance, performance, and perception), how to take compliments the safe way, appointing royal subjects, treating peasants like pets, making a scandal work for you, avoiding hatred and villainy, never revealing weaknesses, and last but not least, hosting royal subjects. Queen Red is a super pretty queen with a lot of self-esteem. Although Queen Red is morale, she has a place in her heart for everybody, whether good or bad. An example is when she meets “Froggy”. “Froggy” is actually the long lost prince, Prince Charlie. He was cursed to look like an ugly frog by the evil witch Morina. Before Red finds out that “Froggy” has royal in him, she has mixed feelings for him. But even if she didn’t know “Froggy” had royal in him she would still love him. I know this because when Queen Red invited her royal subjects to dinner, one of her royal subjects, the Little Old Woman from the Shoe Inn suddenly blurted out, “ Have you heard the chatter about Queen Red?” The Little Old Woman from the Shoe Inn had gone senile recently ( you can’t blame her, she lives in a boot with her 150 grandchildren ) and forgot that Queen Red was in her presence. Queen Red didn’t mind ( that’s one of the reasons she keeps the Little Old Woman from the Shoe Inn around so she can get an unbiased social insight ) “Please share,” Queen Red said, so the Little Old Woman from the Shoe Inn went on. “ The rumor in our sewing group is that Queen Red is shaking up with a large amphibian!” she said with enthusiastic eyes. “ It’s a cross-species catastrophe!” Now obviously she was talking about Queen Red and “Froggy”, but even though Queen Red was a bit pained, she still loved “Froggy”. I think in “Queen Red Riding Hood’s Guide to Royalty”, the main idea is making the right decisions in royalty or not, is super important. In “Queen Red Riding Hood’s Guide to Royalty”, it teaches you the tips to making the right decisions in royalty. Another theme is that no matter how pretty you are on the outside, it only matters about who you are on the inside. In the article Michigan Locks Down Purdue and Wins 2nd Straight Big Ten Tournament Title, fifth – seeded Michigan became the first team to repeat as tournament champions since their rival Ohio State did in 2010 and 2011. Zavier Simpson led on both ends of the court, running Michigan’s skilled offense and anchoring the team’s lockdown defense. Backup Jon Teske or Big Bad Jon as his teammates call him, scored 14 points as No.15 Wolverines beat No.8 Boilermakers 75 – 66 as the final score on Sunday to win their second straight Big Ten tournament title. Moritz Wagner bought Michigan 17 points despite he just played 17 minutes because of foul trouble – an issue that bothered him throughout the tournament. Wagner still arose with the tournament’s most outstanding player award. Simpson closed with 10 points, 5 assists, and 5 rebounds. Fortunately for Michigan, Teske boosted the team. As a 7’1 sophomore, Teske scored 12 points in the 1st half and swung into action by guarding Purdue’s 7’2 Isaac Haas. Teske and Simpson put an exclamation point on Michigan’s 4 day party at Madison Square Garden with 6 minutes and 2 seconds remaining. Simpson drove and dished to Teske cutting to the basket. They finished over Haas and let out a roar while chest bumping teammates. Michigan, dominating their 4th game in 4 days, showed no signs of wear shooting 50% and committing 5 turnovers. “I was so happy when he popped off after that dunk,” Wagner said. “I got so excited. He got emotional. Yeah, I know how good he is. That was long overdue.” The dunk spread the Wolverine’s lead up to 66 – 48 and brought chants of “ Tes – key!” from Michigan fans, who showed up in crowds for the first Big Ten tournament played in New York. “ That was a blast, especially being here in New York City with all those Michigan fans who traveled from great distances, or whoever lived here,” Teske said. On constant possessions early in the 2nd half, the Wolverines forced turnovers by Purdue and turned them into transition 3 – pointers; one by Muhammad – Ali Abdur – Rahkman and the other by Simpson. That put the Wolverines up 11 with 15:06 left, and caused the Boilermakers’ coach to call a timeout and drew calls of “ Go Blue!” from Michigan fans. Personal Response: I chose this article because I was 1 of those super lucky 20,000 people who got to go and see the game happen live at Madison Square Garden! I was cheering for Michigan so I was super happy that Michigan won. Please leave a comment on my flipgrid! Check out our twitter account to see the latest updates! In this nonfiction reading session with 4B and Mr. DeBerry, I studied volcanoes, tsunamis, and earthquakes with my team. In my team there was, Emma (4A), Victoria (4A), Katie ( 4A), Peter (4A), Liya ( 4B), Taryn ( 4B), Jack (4B), Matthew (4B), and me (4A). Sometimes, we had conflicts about subtopics and slides, but by the time it was time to present, we had our subtopics, slides, and everything that we included in our work complete and under control. In our slides we included images, some videos, text, and graphs or diagrams. My favorite part about the nonfiction reading unit was the presenting our weather topic. When I studied volcanoes, my subtopic was measuring volcanoes. I studied about measuring volcanoes with my partner, Victoria. When I switched to tsunamis and earthquakes, my subtopic was speed & destruction by myself. In one lesson we learned about summarizing. We learned to first write the main idea and supporting details. Then we could write a summary about the topic by combining those three parts. In another lesson I learned about text structure and taking notes. Some types of text structure is chronological, problem/solution, cause and effect, compare/contrast. I also learned about spark questions. Spark questions are questions that can lead to more and more questions. We also posted a reading response on flipgrid. Flipgrid is a website where you post videos of you responding to a question or lesson. You can also comment in a video. After you respond to the lesson you can put stickers or draw to make your profile picture. I think I learned a lot during this reading unit.